In regard to Armenia and Russia, if this deal leads to peace and security in the area, and among all nations of the area, then it would benefit them greatly; since Armenia will be linked with Russia and others in CU in the near future, Armenia's economic role will be enhanced as a passage route or hayway to the Gulf and the Far East by way of Armenia>Iran. Those countries of CU all will benefit from this new access route via Armenia into the Middle East and the far Orient. Locally Armenia & Iran will be able to go ahead with the construction of a hydro-power plant in Meghri, at their borders; but mostly Armenia will go ahead and finish the construction of the railway system linking it with Iran's well-developed railway system. Rail-cars filled with merchandize will go both ways: up & down, in a modern version of the Silk Road. They will pass through Georgia in sealed railroad cars or containers without being opened as per agreement with Georgia. However, a bad deal is a bad deal is a bad deal is a bad deal...because Israel's interest has not been taken into consideration. The majority of nations on earth import their uranium to run their nuclear power plants, Iran refuses to import and rather is working to produce its own nuclear fuel, this puts Iran under suspicion for wanting to use the nuclear fuel it produces and enriches to build nuclear bombs and join the very exclusive league of nations with nuclear weaponry. Any deal with Iran should have required the end of Iran’s enriching of uranium projects and demolition of its plutonium reactor under construction. Like many other nations Iran is able to import its enriched uranium for peaceful energy production; Iran has the right to use nuclear energy but does not have the right to enrich plutonium because its ambitions are very clear in regard of its role in the Middle East. Iran may not use the would be nukes for war purposes but the mere possession of them gives Iran a strong voice, position and leverage in the affairs of the Middle East. And that is what Iran is after mainly. Israel now, in isolation and driven by fear for its security, would consider launching in the near future, or sometime in the next decade, a preemptive strike on Iran to stop it from acquiring nuclear weapons or enriching plutonium, and who knows Israel may be thinking it will save the world from a nuclear Armageddon started by the Muslims, a WW3, in the same way that Germany or its Hitler did in 1939. All premonitions indicate that Iran will have its ways and be a winner, a win that would eventually end by failure and own destruction. Jack can have the bomb, but not Jill because Jack is a man (No pun intended) and of course Jill is a woman. I wish the real life was this simple!!!!!!!!!!!!!! By a margin of 2-to-1, Americans support the nuclear deal struck with Iran over the weekend. In addition, Americans are strongly against using military force should Tehran renege on the agreed terms, a Reuters/Ipsos poll revealed Tuesday. According to the survey, 44 percent of Americans support the interim deal signed by Iran and the P5+1 powers: US, Russia, UK, France, China, Germany and the European Union. Twenty-two percent oppose the deal. Under the deal struck on Sunday night, Iran agreed to freeze its nuclear program for the next 6 months and cease construction work on the Arak reactor. In addition, Tehran agreed to stop enriching uranium beyond 5 per cent in a bid to allay fears that it seeks to construct a nuclear weapon. In return, sanctions on Tehran’s economy will be lightened, allowing Iran access to $4.2 billion in funds frozen as part of financial sanctions. Though Americans didn’t indicate trust in Iranian intentions, the survey showed Americans are not interested in new US military involvement after long wars in Iraq and Afghanistan. Even if the deal doesn’t hold, 49 percent said they want the US to increase sanctions on Iran, and 31 percent want further diplomacy. Only 20 percent want to use military force against Iran. Congress, for its part, has already demonstrated appetite for further sanctions on the country. The House of Representatives has moved forward legislation that would increase pressure on Iran, though Senate Majority Leader Harry Reid has said the Senate will not take up the issue until after the legislature’s Thanksgiving break. Israeli Prime Minister Benjamin Netanyahu has already condemned the nuclear deal, saying the world has become a more dangerous place. "What was achieved last night in Geneva is not a historic agreement, it was a historic mistake," Netanyahu told his cabinet Sunday. “Today the world has become a much more dangerous place because the most dangerous regime in the world took a significant step towards obtaining the world's most dangerous weapon. US Secretary of State Kerry assured Israel will be safer over the next six months due to the agreement reached in Geneva. Though “Israel is threatened by what has been going on in Iran,” the deal will keep the Islamic Republic’s nuclear program under supervision and control, said Kerry. "But I believe that from this day - for the next six months - Israel is in fact safer than it was yesterday because we now have a mechanism by which we are going to expand the amount of time in which they (the Iranians) can break out (toward making a nuclear bomb),” he told CNN Sunday. The Reuters/Ipsos online poll, conducted from Sunday through Tuesday with 591 respondents, has a credibility interval of plus or minus 4.9 percentage points. IRAN-U.S. RAPPROCHEMENT - WHAT'S IN IT FOR ISRAEL / SAUDI ARABIA? Washington's traditional allies in the Middle East. the Obama administration and Washington more generally. policies toward Iran so as not to hinder the process of Iranian-U.S. But as Iranian-U.S. relations improve, this will change. U.S.
argue, mainly benefit their competitors in Europe, Russia, and China). expensive route through Russia and Central Asia. And being a professor, I cannot help but note that cash-strapped U.S.
of full tuition-paying Iranian students. a strong interest in friendly Iranian-U.S. relations in the U.S.
try to forestall an Iranian-U.S. rapprochement now before this occurs. What they do not appreciate, though, is that improved Iranian-U.S.
that Iran must remain ever vigilant against U.S. hostility when U.S.
benefits they do not want to lose. strength and support their militant allies. U.S. and Iranian domestic constituencies seeking better relations. acting to forestall counter-productive Iranian behaviour. and are unlikely to do so in the future. An improved Iranian-U.S.
traditional allies in the Middle East. Iraq and Afghanistan (Johns Hopkins University Press, 2012). 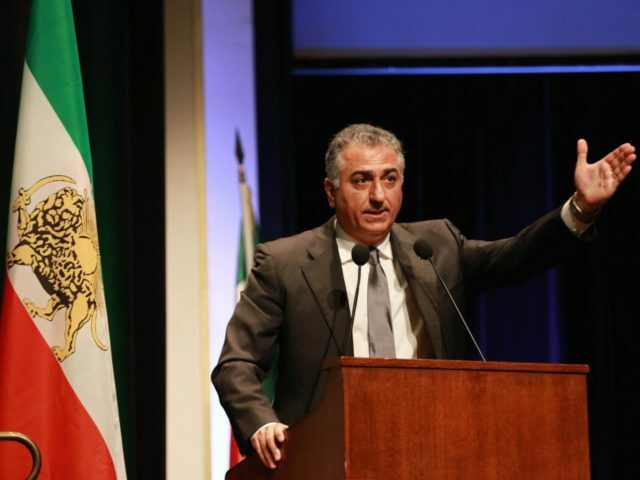 BEVERLY HILLS — In an interview with Breitbart News on Monday, Iran’s exiled Crown Prince Reza Pahlavi called for greater American and international support for Iran’s freedom-craving people. The crown prince is the son of Iran’s last king, Mohammad Reza Shah Pahlavi. 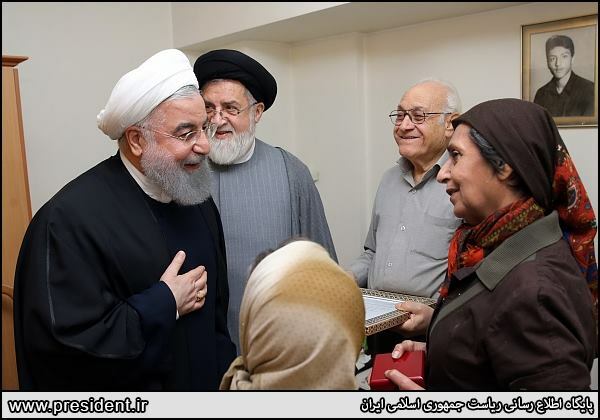 He is the president of the National Council for Free Elections in Iran. “We realize that the current regime is not going to voluntarily leave the scene, which is why we have put together a campaign of resistance and civil disobedience,” Pahlavi told Breitbart News. “And that’s why we’ve been in contact with a variety of secularists within Iran representing all sorts of views from workers to teachers to labor unions” to other organizations. Over half of Iran’s population is under the age of 40. The crown prince noted that the advent of social media and technology is a priceless tool in the quest for freedom. “And fortunately in this world of social media and Internet communication most of the give and take happens by means that were not available 20 years ago,” he said. Iran’s former recently died. The businessman had a checkered political past and was considered the father of Iran’s nuclear program. While some within the regime described his as a “man of peace,” he was better remembered by many of the Iranian people as an oppressor and for having orchestrated several international terrorist atrocities. Political scientist Levon Shirinyan thinks that Iran should assist Armenia in strengthening its independence. He thinks that Iran should understand Armenia’s military-political situation. Levon Shirinyan says that Armenia should work on strengthening the ties with Iran, as Armenia-Iran relations can be even stronger. The political scientist assures that in case we are not active, Iran may go other way and may even reconcile with Azerbaijan. 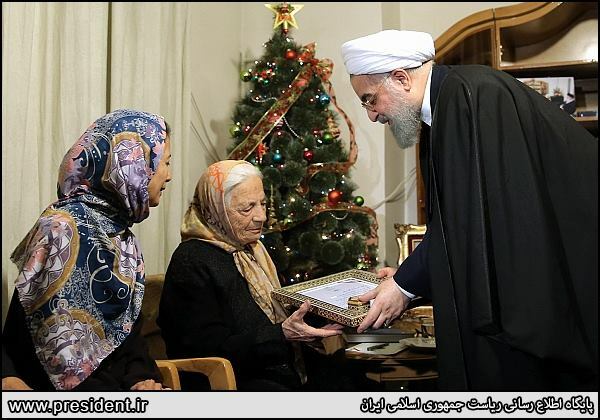 “There are people in Armenia who hinder the rapprochement between Armenia and Iran. These people are still hear and will continue to hinder the process,” said Levon Shirinyan. To remind, Iranian Foreign Minister Mohammad Javad Zarif arrived in Armenia yesterday to meet with Serzh Sargsyan and the RA Prime Minister Karen Karapetyan, as well as to participated in the opening ceremony of the Armenian-Iranian business forum. If the current Iranian government is removed amid these recent protests and a pro-US government is put in its place, wonder how that will affect Armenia and artsakh. I think it will put more pressure on Armenia. Iran and Armenia has a long historical friendship, which will never change. Both countries interests are aligned, so I don't foresee any change no matter who is in charge of Iran.